I have always loved Art Deco. Here are three photos i took of a shop which was in the process of being refitted as an Indian takeaway. 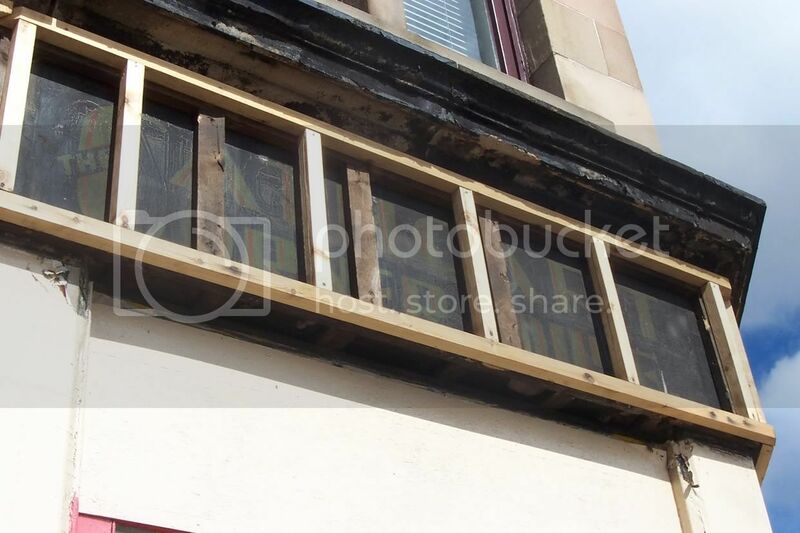 The shop is located in Govanhill on the corner of Govanhill St and Cathcart Rd. I love Art Deco too. I thought we had a thread about it somewhere on here but I can't find it. I look forward to seeing more Art Deco Glasgow photos. Would anyone be intersted in pursueing a project based on Glasgow architecture 1900-60 ?. Theres a nod towards Art Deco in this thread - i actuyally thought more oics had been posted... need to work on that one! from RCAHMS does not really do it justice. I have got some fairly recent colour pics of it i took. I'll post them later if i can find them. following a directive from the Scottish Office in 1945.
women and consists of 88No. flats. 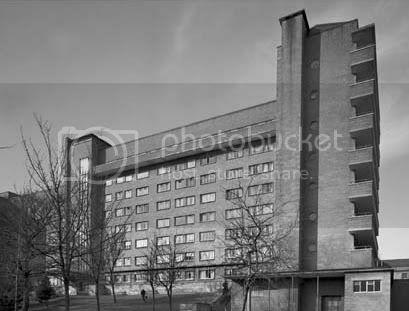 My Gran lived in Crathie Court for many years (late 70's onward for 20 odd years after her husband passed away) and I used to live in the tenements opposite. Was it not designed with some sort of nautical theme in mind? Was there not another thread about it on here? This is Crathie Court built in 1952, but its art deco features show pre-war design influence in the projecting balconies and lines of porthole windows. Set in well maintained grounds, the building was designed as 88 flats for single people at a time when almost all housing was for the standard nuclear family. In recognition of its importance the building gained a Saltire Award. and i think it appeared on one of the threads about tunnels. I remember seeing a nice aerial shot of it somewhere. 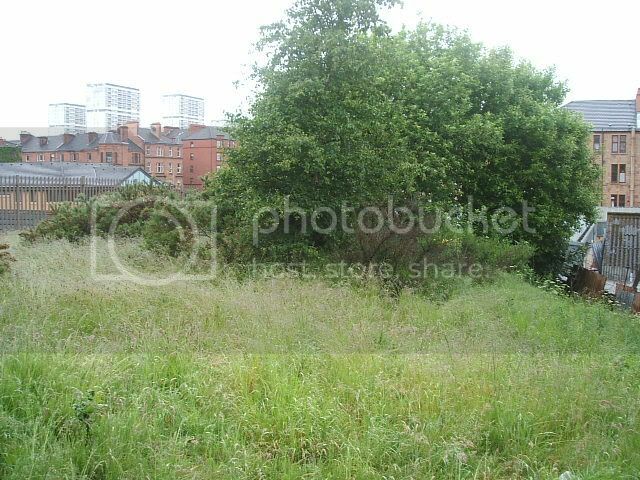 Pgcc posted a link to it in the Glasgow Story website previously on the thread about Thornwood Park - i think. What railway lines are those? Simba wrote: What railway lines are those? 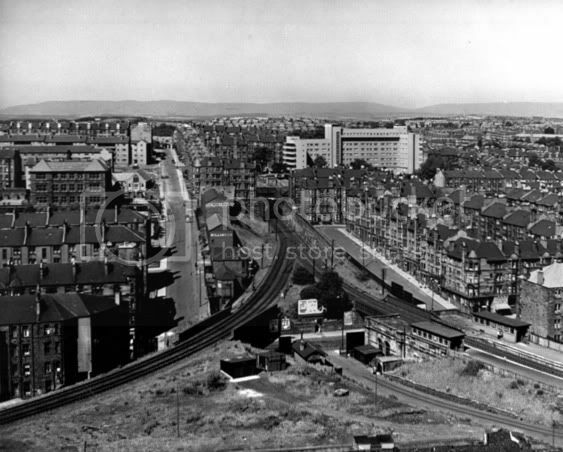 All lines are now gone, and the site destroyed by the Clydeside Expressway. Certainly has a bit of the Trellick about it too. Trellick was no inventor. Someone once wrote of a photo of the flats at Sighthill that they were "trying to be like Trellick" due to the 'vent' type things that cuts each block into 3. Sighthill and that building were built long before the Trellick towers. Vladimir wrote: Trellick was no inventor. I generally hate modernism, but Crathie Court just about pulls it off. To blame later monstrosities upon is rather unfair to it the and various other bold 30/40s experimental designs, many more of which are still standing than their 60s counterparts. Umm who said Crathie Court was influenced by Trellick??? I just said it had a bit of Trellick about it. I was merely highlighting what a perceived was a similarily.